The last few years seem to have taken on a more reflective stance for Guy Manning with two acoustic albums, re-visiting previously released works and last year’s studio release, The Root, The Leaf And The Bone, being the only new material from one of prog’s busiest men. Guy also retired his live band earlier this year to allow himself some personal space and perhaps the opportunity to explore new avenues. So all in all you might have thought this would have given him a little free time, but it seems the opposite applies with his involvement with the Australian based United Progressive Fraternity (UPF) along with the release of the second Akoustik album. So it would have been all too easy with Guy’s impressive thirteen studio album back-catalogue to merely release a couple of stop gap compilation albums, however easy doesn’t seem to be in the Manning DNA. Although Akoustik #2 features nine previously released tracks, additional value for money comes in the form of three new pieces for this album in the guise of Yesterdays’ Hero, Moorland Skies and Saturday Picture Show. If you add to this that none of the tracks are simple keyboard/guitar unplugged versions, but rather re-imagined versions, with the same attention to detail that went into the original songs, then this is an album to applauded. Akoustik #2 features songs from Guy’s first release Tall Stories For Small Children (99), through selections from The Cure (00), two from Cascade (01), The View From My Window (03), Anser’s Tree (06), two from Songs From Bilston House (07) and Number Ten (09). A man always thinking ahead, Guy has called upon trusted friends from his past to record Akoustik #2, with the proviso that the recorded parts could be performed live at some point. With 2015 on the horizon, one assumes not that far away. My first introduction the music of Guy Manning came with the enjoyable The Ragged Curtain from 2003 and since then I have followed each annual release with interest. 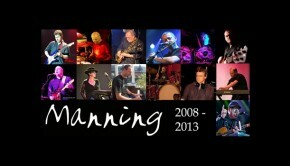 I was also fortunate to catch the full electric Manning band in concert at the Progmeister Festival in 2011. So I was intrigued by Guy’s first Akoustik release in 2012, which put the music into a gentler format and was keen to hear how the setting faired against the electric band. Very well is the answer as there was little compromise on the arrangements, with the exception of Guy confining himself to acoustic guitar and vocals, however the songs lent themselves very well to the acoustic treatment. The same applies here with Akoustik #2 and in many respects the format seems more suited to Guy’s warm story-telling format. I’ve always found the Manning music more about the song and the storyline rather than about musicianship. Not to infer that any of the past and present cast are slouches in this area, far from it, but rather that the instrumental sections complement the song and fold effortlessly into the music. Akoustik #2 captures this admirably. So perhaps mention here of some of these instrumental contributions, which I will refrain from calling solos. Steve Dundon’s floating flute in the previously unreleased, Canterbury infused Moorland Skies, or during the title track from Songs From The Bilston House. Ian Fairbairn’s jaunty fiddle to another new piece, Yesterday’s Hero, whilst Marek Arnold offers some potent moments during another early Manning track, A Strange Place. No less important of course is Jonathan Barrett’s sublime fretless bass work throughout, David Millon’s subtle guitar and of course Guy himself. And always a feature in the Manning music are the lyrics to the storylines and as ever delivered in his own inimitable style and richly embellished with layers of backing vocals by Guy and the delightful Julie King. 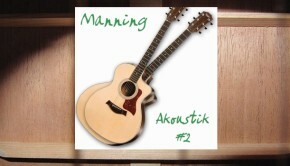 Those familiar with the Manning output will find much to enjoy in the reimaged versions on Akoustik #2. Far enough from the original, but never straying too far away as to be unrecognisable. Prime example is the re-worked Flight 19, which tells of the mysterious disappearance, in the Bermuda Triangle on 5th December 1945, of all twenty nine crew members in a war time bombing mission. The haunting melodies and lyrics splendidly capture the mood, adding a fresh dimension to this fine song and the stand-out track on the album for me. Marek Arnold is particularly potent here, effortlessly drifting across the arrangement. 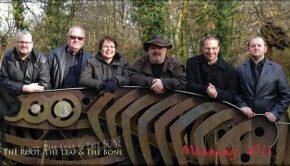 This track is available via the Manning website and well worth a listen. Considering the timeframe covered on Akoustik #2, which takes tracks from Guy’s first album Tall Stories For Small Children through to newly written material, it is a credit to the man and the gathered musicians how cohesively the songs sit together. Whether that be the up tempo, Eastern tinged, Tullian Icarus & Me, with its delightful flute, or the reflective A Strange Place which brought to mind Sting’s more recent output. Once again Marek Arnold is to be commended on his contributions here. Sat listening to the album, typing away and as A Strange Place drifts effortlessly into one of the new tracks, Moorland Skies, I muse that I could go on extolling the subtle nuances and delights to be found on Akoustik #2, however to the Manning fans I feel I would be merely speaking to the converted. For those unfamiliar – then this might be as good a place to start.